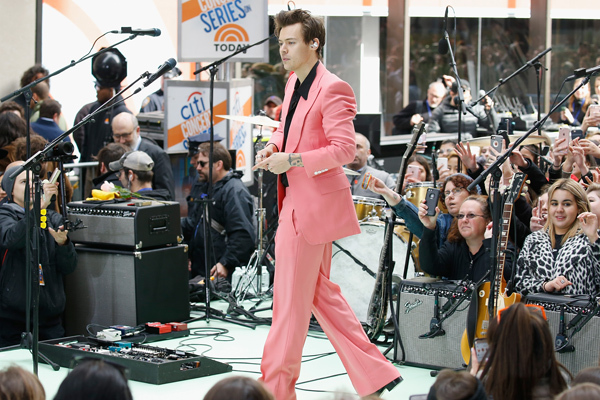 Breaking news: The one and only Harry Styles wore a pink suit on the Today show, and we’re in love. Okay, maybe this isn’t exactly breaking news, but the pink suit is pretty perfect. On Tuesday, the British singer debuted another song off his first solo album, Harry Styles. 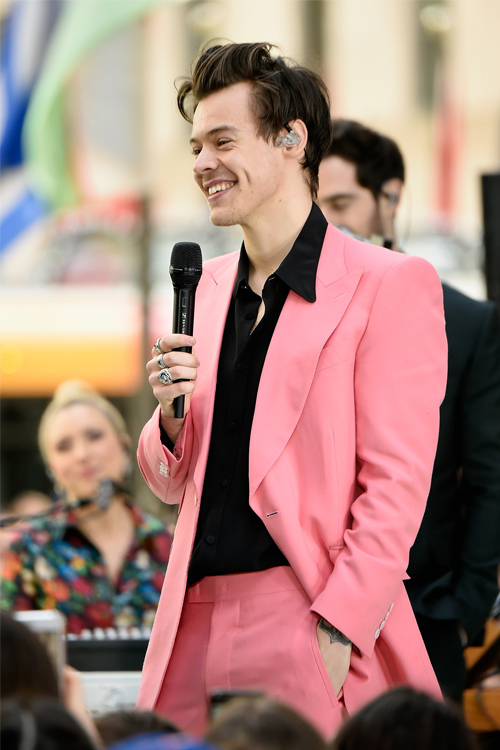 He performed “Carolina” live on NBC’s Today show in New York City to a cheering crowd (as if we would expect anything less). Despite the fact that we are still freaking out over the new track, which you can listen to here, we’re more obsessed with Styles’ fashion choice. The 23-year-old singer has always had impeccable style, especially since going solo, and today’s look was top-notch. 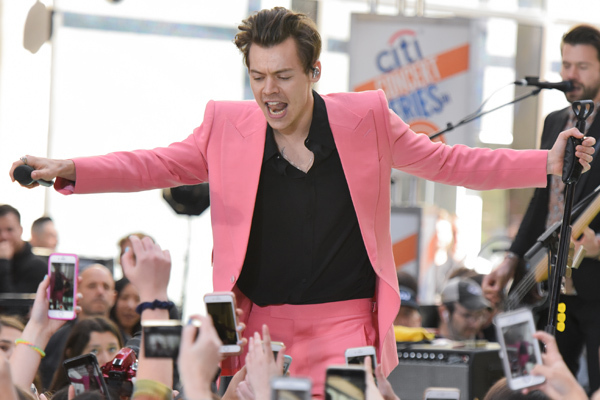 He donned a bubblegum pink suit with a black shirt underneath, and wow, just wow. Seriously, it’s almost too much hotness to handle. 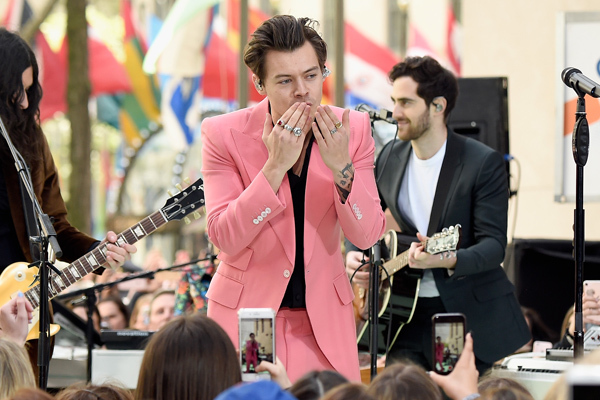 As the “Sign of the Times” singer performed in Rockefeller Plaza, he continued to prove that he has staying power — and style power. He looks like a rockstar mixed with a ’70s disco star, and we’re all for it. Clearly, the Dunkirk actor knows he looks good, and he’s not afraid to rock what he’s got. Just look at that smile! He’s so dreamy. Btw, we’re also really loving the singer’s shorter ‘do and clean-cut facial hair. Oh, and here’s one more picture for good measure. You’re welcome! 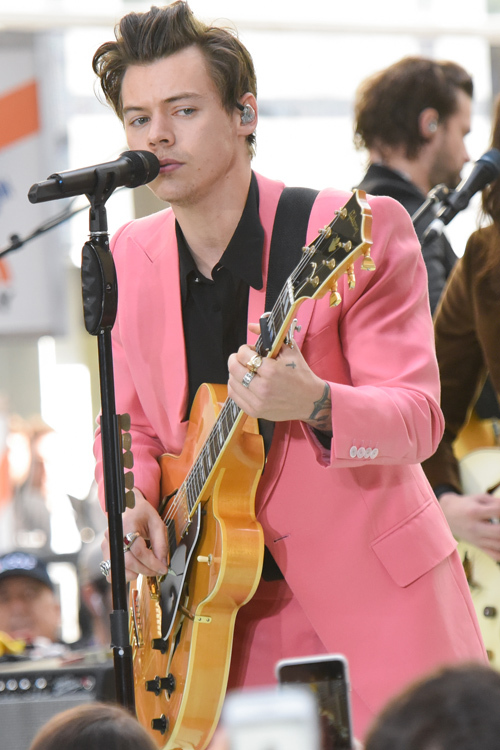 What do you think of the Harry Styles’ pink suit?